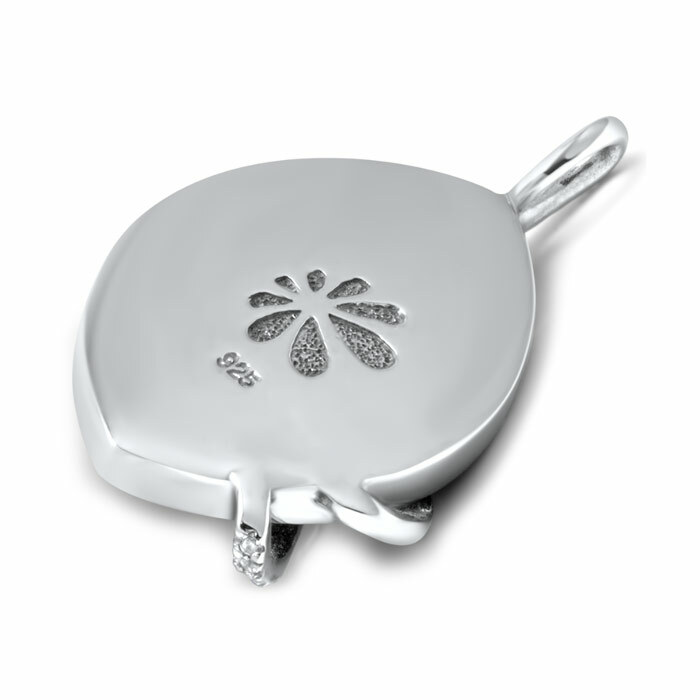 This stunning piece exudes power and femininity like the moon rising on a cloudless night. 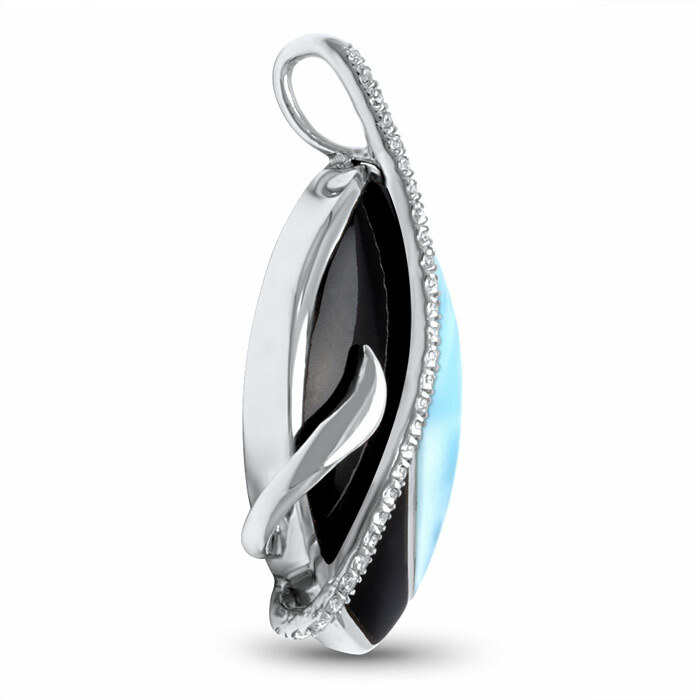 Powerful black onyx shares space with a lustrous larimar gemstone while a graceful band of sparkling white sapphires wind around the two of them, almost endlessly. Show off your yin and your yang. Product Details: 9x17mm larimar gemstone with white sapphire, black onyx, and sterling silver. Overall size is 20x32mm. Comes with an adjustable 21” sterling silver chain with an easy, sliding mechanism and lobster clasp that you can set to the perfect length for your look!